With so many site builders around, the question is often: which one is right for my business? So, in this article, I’m going to do a comparison between our Base Camp websites that are powered by WordPress compared to the free Google Sites platform. If it raises any questions for you, please don’t hesitate to ask in the comments, or get in touch. Focused on digital marketing for small businesses. We update your site with the latest technology as it becomes available, so it always looks great and functions smoothly. Focused on internal business collaboration and file-sharing. You must update your site to fit with Google changes. They may provide an upgrade path to help streamline the process. When choosing a platform for your website, it’s important to take into account the purpose of the platform. I’ve built the Base Camp package using WordPress and a combination of premium plug-ins with the goal of making it easy for small businesses to get online and get started with digital marketing. As the name “Base Camp” suggests, it is intended to be a platform that can help your business grow and reach new markets by providing you with both the tools and ongoing support you need to get the most out of your digital presence. Effortlessly create impactful team sites. 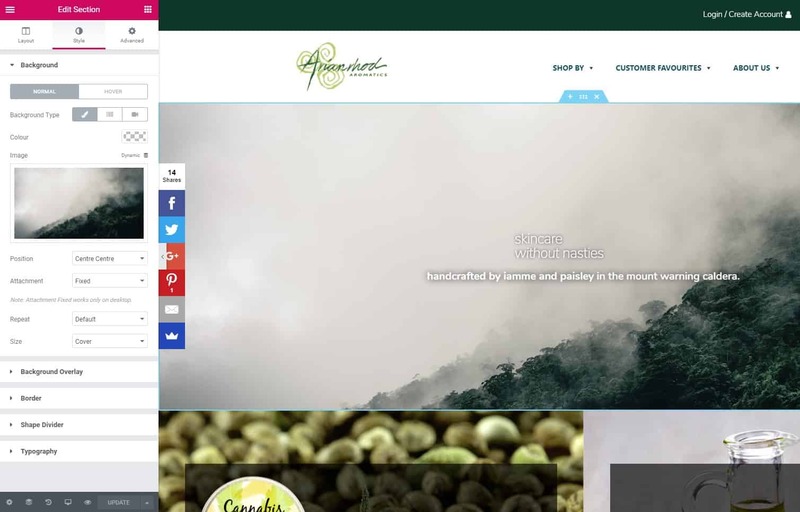 Collaboratively create engaging, high-quality sites for your team, project or event. The key word there is ‘team’. Google Sites is intended to assist collaboration within business teams. To that end, it has tight integration with the rest of the G-Suite tools, including Google Docs, Sheets, Slides and Forms. Of course, it can be used for other things, and it works great as a project management portal, for sharing events, or anything else that needs to get online with minimal effort and without the need for any custom design work. Technology changes rapidly, and many platforms have come and gone. So what is the platform longevity like, who owns it, and can other websites affect yours? The Base Camp package has been built around WordPress and a combination of premium plug-ins. WordPress is an open-source platform that powers more than 30% of the websites on the internet including major websites like The Whitehouse, Walt Disney, Microsoft News, Mercedes Benz, Vogue, Time, Sony Music, and many, many more. The WordPress project started in 2003 and it has quite literally helped to shape the internet into what it is today. Since WordPress is an open-source project, it will continue on no matter who owns it. There is no bottom line that it needs to contribute to, instead it is updated very frequently by millions of developers all over the world to ensure it is always on the cutting edge of technological improvement. Google Sites is owned by Google. It used to be called JotSpot until Google bought it and rebranded it in 2008 as Google Sites. Since then, Google has only released one major update, in 2016, that brought the tool more in line with their focus of being a team portal. As with anything in the Google suite of tools, Google Sites is closed source and must ultimately contribute to their bottom line in some way to warrant continued operation of the service. Google has been known to shut down tools in the past that were no longer financially viable to them. There are no prominent examples I could find of major websites built using Google Sites. The license that underpins your use of any software dictates what you can do with it, and what the software owner can do. WordPress is open-source code licensed under the GPLv2 license which ensures the platform is always open to anyone for any use and can be freely customised and built upon. This license also ensures the underlying website code (not your website, but the code that runs it) can be reviewed by anyone to ensure it is secure, does not contain any hidden or malicious code, and that any security issues are quickly addressed. This license also provides flexibility enabling a WordPress website to be provider independent. In other words, while we include optimised WordPress hosting in our Base Camp packages, you can choose to host your website on almost any standard server on just about any operating system. Google Sites is not platform independependent and can only run within the Google Sites platform. If you decide you want to move providers you will have to rebuild your website, you can’t just pick it up and move it. For many small businesses, ease of use of their website is a hugely important factor, especially if you plan to update the site yourself. We provide a standard graphical editor within WordPress that has been designed with ease of use in mind. This editor works great for most content management purposes, and for the website owner looking to get more control over all aspects of the content appearance in their website, we include one of the most powerful and yet simple to use graphical editors available, the premium Elementor Pro page builder. Elementor Pro gives you complete control over every aspect of your page appearance, including the ability to harness powerful marketing tools to boost your website performance and test how your page looks on tablet and mobile devices. No programming knowledge is required to update your website. 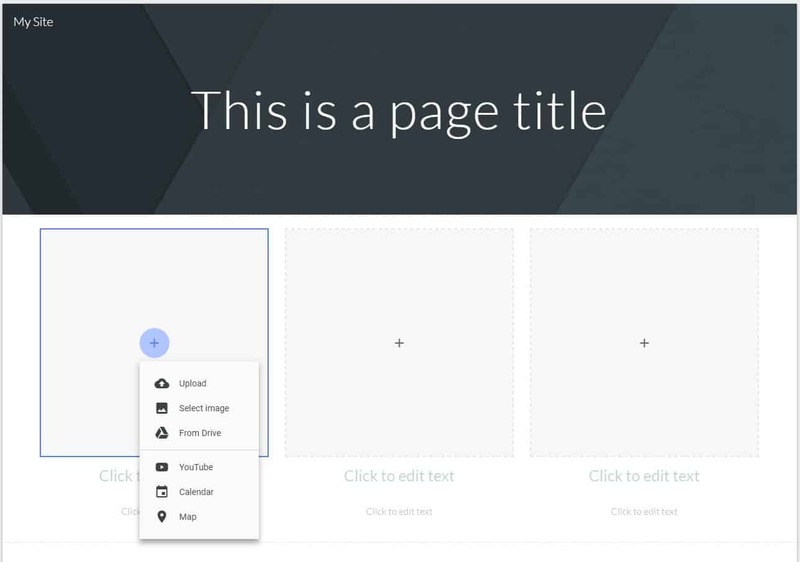 As Google Sites is designed to enable teams without web experience to get a project portal up and running quickly, the tool set is extremely simple to use with an excellent drag and drop interface, especially in the newer Google Sites platform after the 2016 update. However, the level of customisation availability is highly limited. If you want to achieve any look or feel that has not already been designed into one of the built-in templates or tools, you can’t do it.. In order to keep the editor simple, Google Sites severely limits the amount of options available to you when you are working on your pages. Search results are just one way for potential customers to find you, and for many businesses, it is an important source of new prospects. So you want to ensure your website has the tools to help you optimise for your target markets. We provide the premium SmartCrawl Pro plugin as part of all Base Camp website packages. This tool gives you the ability to optimise every page of your website for a specific set of keywords and customers, including the ability to set custom search titles, descriptions, keywords, and setup automatic cross-linking from relevant terms within your website. As you write your content, SmartCrawl Pro analyses it against the keywords you have set, giving your page an optimisation and readability rating with recommendations for improvement. With SmartCrawl Pro you can also optimise each page for social sharing, including controlling how your content looks when shared on popular social media platforms like Facebook and Twitter. 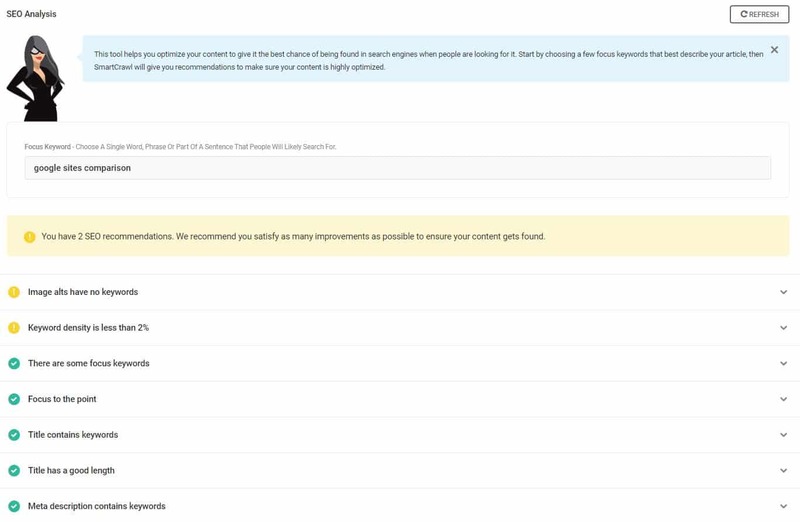 As you add and update your content, Smartcrawl Pro will automatically notify search engines of your changes, ensuring they are indexed rapidly. Interestingly, Google does not provide any search engine optimisation tools for Google Sites. This is mostly likely because of it’s roots as a team project portal builder. You cannot control the search title, keywords or description and there are no social sharing optimisation tools. Can my website be completely customised to my needs? Do you want to use a pre-built template that has been used for other websites? Or do you want something completely custom for your business that can help you to cut through the noise? Our Base Camp websites are built on a lightweight framework and then customised completely for your business. Every aspect of your site appearance can be designed just for you. While we include a standard set of functions within each of our packages, a variety of add-ons also enable you to completely customise the functions of your website so that it provides the best possible experience for your customers. If you want to get in and dabble in code yourself, code editing tools are available within Elementor Pro. Google Sites permits limited customisition of their prebuilt templates and building blocks. Custom layouts and designs are not possible, nor is custom code. Can I integrate my website with another service? Sometimes business processes can be simplified or a better customer service can be provided by integrating your website with other platforms. For example, connecting your ecommerce website sales to your accounts software, or feeding form data into your CRM. Being built on WordPress, our Base Camp website packages are highly extensible. Out of the box, we support integration with lots of popular services and we have a range of add-ons available to suit many business needs. If you need something a little bit unique, we can also build custom integrations to suit your requirements. Please note, an extra cost may apply for add-ons and custom integration work. Google Sites integrate natively with other G-Suite and Google services. Outside of these tools though, integrations are generally unavailable and custom integrations are not possible. Can I sell on my website? Many businesses rely heavily on ecommerce. While it is not a requirement for all businesses, it’s certainly something to consider when you are thinking about a new website. If you think you may want to start selling online in the future, is it possible with your chosen platform? If you don’t need ecommerce when you are starting out with your new website, then you can choose one of our packages without it. When you are ready, we can upgrade you to ecommerce. We want to help you grow! Security is a vital consideration with government issued fines and penalties if your customer data is breached. Hacking and malware can seriously impact your search rankings and damage your reputation. Ransomware can cost you money. Being open-source and powering so many websites, WordPress is often a target of malicious activity. That’s why our platform is security-centric and in addition to active threat monitoring, CDN protection, and frequent backups, we also lock down the code base to prevent malicious injections. In the unlikely event that malware or some other attack does make it past our security, we include free malware remediation to get you back up and running in a matter of hours from the time the attack has been detected. Google doesn’t release any security information, however, being proprietary code, it is inherently more secure than open-source platforms since the code cannot be reviewed by anyone. At the same time, if vulnerabilities exist, they may not be detected for much longer than in an open-source platform since the code is not open for review. The biggest risks here are someone else obtaining your login details. Make sure you have two factor authentication setup on the account of every user who has access to your website to prevent logins in the event that your password is compromised. Depending on your business structure and requirements, it may make sense to give administrative or editor access to different people within different parts of the organisation. You can have as many users as you need across multiple permissions levels from administrators to store managers (if you have ecommerce) to editors. Google doesn’t specify any limits to the amount of users you can give access to in Google Sites. Can I take my site elsewhere? Generally speaking, you shouldn’t need to move your website, but if you choose to close your account or want to move your site for some other reason, can you? Yes, we can package your site up for you and you can run it from most standard web servers. You always own your website and can do with it as you wish. Please note though that you will lose access to our security monitoring, malware prevention tools, and all premium add-on licenses will no longer be valid. They will continue to function, but you will need to purchase your own licenses direct with the vendor if you wish to continue to receive updates to the add-on. No, Google owns your website and locks you into their platform. You can copy your content and images out but you cannot pack the website up and put it on a different server. If you close your account, your website is gone. Technological changes are constantly happening. Software updates are released, new features become available, search algorithm’s are modified, web browsers change and can sometimes break the way your site looks, so what happens to your website? We monitor, test and update your website to the latest version of WordPress and any add-ons in use so you are always up to date. We ensure any fixes that are needed are implemented so that any time a browser is updated or search algorithm changes, your website always looks it’s best and is not penalised in search engines. Typically, updates are released, tested and installed on your website multiple times per month meaning you have access to the latest features, functions and security and can always get the most from your website. Presumably Google makes small updates as required to ensure compatibility with web browser updates, however, there is very little public information on this and no major system updates have occurred since 2016. Google provided an upgrade path to update your website when they made major updates in 2016. However, it is up to you to make the necessary changes to ensure your website works and looks good. Google ultimately leaves it up to you to make sure your website continues to work any time that technology changes, both within the Google Sites platform and outside of it. Remember, most technology associated with displaying your website is owned by either Google, Microsoft or Apple, all of which compete directly with each other in many markets and are well known to actively build ‘features’ that negatively impact competing platforms. With Google Sites, it’s up to you to wade through that commercial competition and figure out how to avoid being impacted by it. Who want’s that hassle? The best solution for your business really depends on your business goals and what you actually want to do with your website. Both of these platforms are excellent tools in their own ways. The question is, are they the right product for your needs now, and will they help you to achieve your business goals? You want a custom designed website for your organisation. You plan to sell online. You need flexibility with features. You want to be able to update your website yourself with a backup professional web design team to do it for you if you don't have time, have trouble, or just plain don't feel like it. You want to integrate your website with other platforms. You want as much control as possible over how your website performs in search results and appears in social media. You want to receive the latest features and tech updates as soon as they become available. You want ownership over your website. You want the security of knowing that if for any reason we cease to exist or you just don't like us anymore, you won't lose your website. You are looking for a low cost solution that will help you to reach your target markets. You want an experienced partner in website design and digital marketing. You want a simple, template site and don't need anything customised. You just need to get some content and pictures up on the internet and are happy to do it yourself. You are building a project or team portal. You don't intend on doing much digital marketing for your website. You only need to integrate your website with other Google services. You are happy for Google to own your website. You don't care that you will have to start from scratch with a new website if Google decides the Sites platform no longer contributes to their revenue strategies. You don't need access to the latest technology to help your business grow. You are looking for a free/low cost website. 0 responses on "TerraMedia Base Camp Websites and Google Sites Comparison"